Just what is the human in human-centered design? OK – we are a biological species. But people also share culture. This makes us a co-evolutionary story of the interaction of biology and culture – a melange of instincts, genetics, psychology, learned behaviors, ethics and values, institutions and agencies, communities, historical forces and accidents. So is this call to look to biology for tips about teamwork an analogy, where we consider that people are like biological communities? I think it’s more interesting than this. Ben Cullen [Link] taught me how to look beyond the familiar contrast between culture and nature to find basic processes shared by both in what can be called cultural ecologies – the hybrid mixtures of humans and non-humans, things and other species, architectures and environments that are the heart of our everyday, and indeed our historical human experiences. Design a fertile habitat – yes, we benefit from diverse cultural ecologies. Rich habitats are those that harbor great diversity both in genetic and cultural DNA (to use a fascinating metaphor this time – though we might consider Richard Dawkins’s cultural memes). Work is what makes us human – the unceasing effort to express ourselves in the world with others. And I would add to Tim and Jane’s list – family matters – offer loyalty to group/community/team as if they were family, involving tolerance, care, shared aspiration. Cultural ecologies. Wild nature in the English Scottish borders? This is Chew Green – site of the Roman camp at the very edge of empire, and here looking as remote and uninviting as can be. Antiquarians called it Ad Fines – at the ends of the earth. But this isn’t raw nature beyond the bounds of the civilized world. 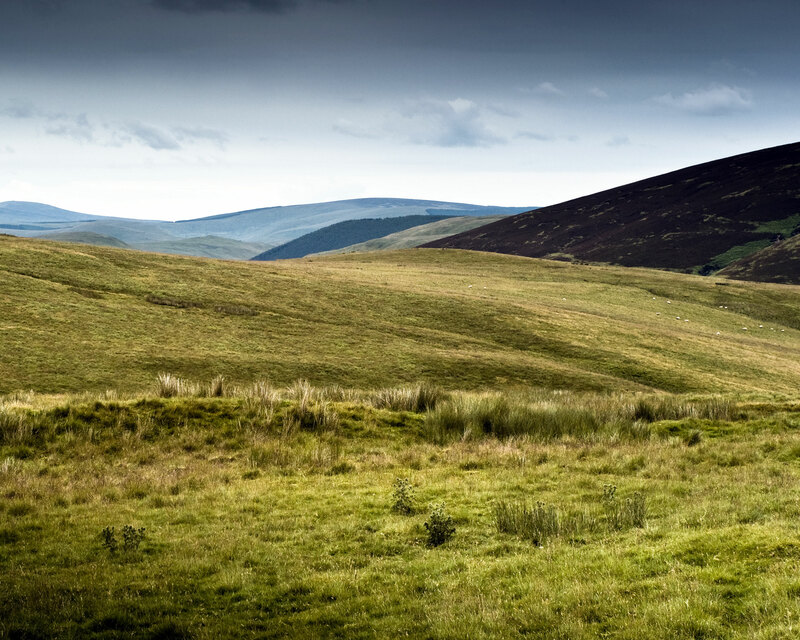 The rolling moorlands are the result of millennia of human inhabitation. Here was a major Roman outpost on the main road north, Dere Street. Here was a medieval village, Gemelspeth, where were held the border courts. Remote from centers of power maybe, but not remote to the many communities who have worked this land, making it their own. ← critical design – what if? Every morning the Scenopoetes dentirostris, a bird of the Aus- tralian rain forests, cuts leaves, makes them fall to the ground, and turns them over so that the paler internal side contrasts with the earth. In this way it constructs a stage for itself like a ready- made; and directly above, on a creeper or branch, while fluffing its feathers beneath its beak to reveal their yellow roots, it sings a complex song made up from its own notes and, at intervals, those of other birds that it imitates; it is a complete artist. This is not a synaesthesia of the flesh but blocs of sensations in the territory—colors, postures, and sounds that sketch out a total work of art. These sonorous blocs are refrains; but there are also refrains of posture and color, and postures and colors are always being introduced into refrains: bowing low, straightening up, dancing in a circle and a line of colors. The whole of the refrain is the being of sensation. Monuments are refrains. In this respect art is continually haunted by the animal.